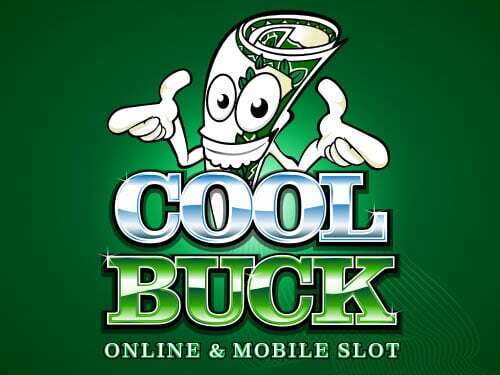 Cool Buck online slot - free spins, no deposit bonus, and 600k jackpots! We introduce the newest Microgaming game for April 2017, Cool Buck. This is an amazing 9 line, 5 reel game, and includes the popular Super Stacked Wilds feature across all of the reels. With the sleek and simple design, Cool Buck has been designed to carefully balance and make every spin as impactful as possible, not a single win pays less than your bet! How great is that? The base game has Free Spin potentials. As the Free Spins Tokens land and add extra spins to the Free Spins bank. And, the game offers 2 incredible ways to trigger Free Spins, where you will be awarded with banked spins and an extra 2x multiplier. Created around classic symbols of BARs, Sevens (“777”) and Cherries, Cool Buck is an authentic classic slot for instant play. However punters need to keep an eye out for the Dollar ($$$) symbols. The key to all big wins, the dollars will complete more winning formations on paylines and regularly boost your balance. But wait, it gets even better. Catch three dollar symbols across the slot reels and hit a minimum win of 1,000 coins. And, line them up from the bottom left all the way across to the top right and you’ve won jackpot of 6,000 coins. Wow, what a game! If that wasn’t enough, Cool Buck has a Scatter Cherry too. No matter where the cherries land on the reels, you will be quids in with a coin win. The Free Spins tokens can appear attached to low symbols and any tokens that will land on the reels will be collected in the Free Spins bank. The exciting part about Free Spins is that you get 2 opportunities to trigger Free Spins! This will happen when you land 3 or more Scatter symbols, which will trigger the number of Free Spins in the bank. The second way that you can trigger Free Spins is when bank reaches 30 or more tokens, plus all wins will be multiplied by 2x during the Free Spins feature. Cool Buck also features the much loved Scatter and Wild symbols. The Wild symbol will substitute will substitute all symbols except the Scatter symbol. The Super Stacked Wilds are on reel 2 and 3 in the base game and Wilds are Super Stacked in all reels in the Free Spins feature. Scatter symbols pay in any position in the base game, they add to payline wins and multiplied by the total bet initially placed. This slot machine is perfect if you are looking for great winning potential and fun! Play Cool Buck at any of the Microgaming Casinos, and you can be the lucky winner of some cool bucks. For example, if you choose to play Platinum Play Casino or Red Flush Casino where you can get $1000 bonus and 50 free spins on top!